FAPAC - Discover Historic Alexandria! One entry at group rate. Does not include food or beverage. 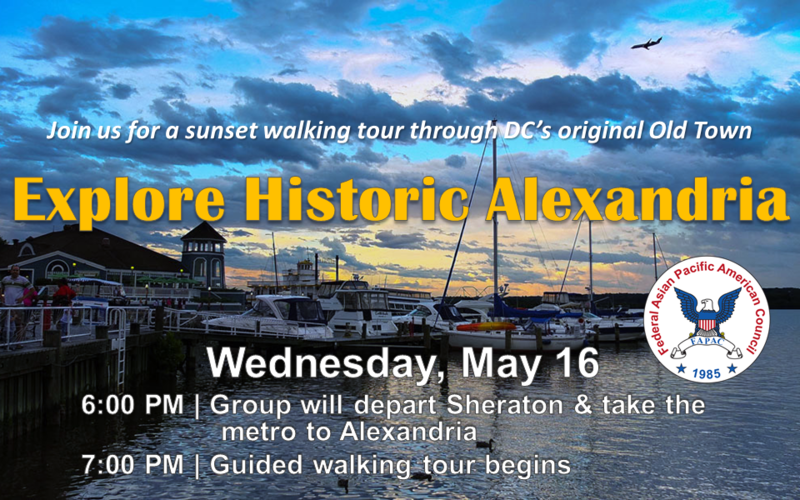 Join us for a sunset walking tour through DC's original Old Town: Alexandria! FAPAC members and attendees of the 33rd Annual National Leadership Training Program (NLTP) are invited to attend this social event. 6:00 pm | A group will depart from the Sheraton Pentagon City (900 S. Orme St, Arlington, VA) and take the metro (Pentagon City station) to Alexandria (Braddock Station). Price of ticket is good for one entry and does not include concessions. Visit the Old Town Alexandria website for more information.